Professor of English Regional History, Chair of the Thoroton Society, the local history and archaeology society for Nottinghamshire and a member of the Castle Working Group looking at future uses of Nottingham Castle. 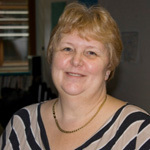 Professor Beckett has published extensively on local and regional history, including Nottingham’s 1839 and 1845 Enclosure Acts. He has considerable experience of community history projects (especially at Laxton, Nottinghamshire) and his specialism is eighteenth and nineteenth-century British regional economic and social history. 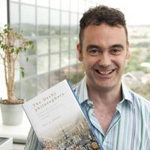 Dr Paul Elliott is Reader in Modern History at the University of Derby and a Special Lecturer at the University of Nottingham and has considerable experience of working with local history and heritage groups. He is an expert on landscape history, having worked extensively on the history of East Midland parks, gardens, cemeteries and other green spaces and has collaborated with the Friends of the Nottingham Arboretum community group. His other research interests include cultural history and historical geography, local and regional history, scientific and intellectual history, urban studies and the history of education. 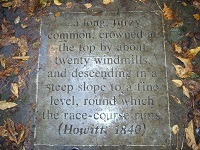 Dr. Elliott is a member of various local and regional history and heritage group committees including the Derwent Valley World Heritage Site (Research and Publications Committee), Derby Museums and Art Gallery (National Steering Committee) and Derbyshire Victoria County History and is an Associate Editor of Urban History published by Cambridge University Press. He gave a talk on the cultural history of therapeutic green spaces to Nottingham community groups in October as part of Mental Health Week. Jonathan’s research interests include the role of green spaces and the ‘more-than-human’ world in mental well-being. He is on the Editorial Committee of The European Journal of Ecospsychology and is co-chair of the ‘Greening the Mind’ Integrated Research Group in the Centre for Social Futures, at Nottingham University’s Institute of Mental Health. 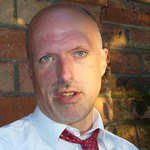 Jonathan gained his PhD in History from Southampton University in 2008 after completing his MA in The History of Scientific Thought at Leeds University. Jonathan has taught history at Derby University. He is an active member of Rescue!History and the Association for the Study of Literature and the Environment, UK. He has worked previously for UNICEF, the BBC and as an actor. A graduate of Imperial College London, Jonathan also teaches on the MSc in Medical Leadership and Advanced Professional Skills at De Montfort University.